The word “Sialang” or “Sai Lang” comes from the Cantonese word “晒冷,” It refers to wagering one’s entire assets, resources, life-savings or wealth on a project, in a competition or an endeavour. In addition, the word Sialang is commonly used in investing, where we always hear people, especially Malaysian investors, say they Sialang in a company. For astute investors, Sialang is the best way to grow wealth and maximise gain. I have never known any successful people who do not Sialang in the companies they dedicate their lifetime effort to. This practice is very common in world of business, where we see a lot of the successful businessmen or businesswomen focus on what matters most and have their money invested only in the companies they founded. For example, in Malaysia, the wealth of Public Bank’s Chairman Teh Hong Piow, IOI Group’s founder Lee Shin Cheng and Press Metal’s CEO Koon Poh Keong is all tied to their stakes in their own companies and the performance of their stocks. Most investors and investment professionals overly concentrate on fundamental and technical analyses and fail to notice the importance of profit growth. They do not think like a businessman. But the best way to mint money in stock market is to Sialang in a company with high profit growth prospect like a businessman. To be really successful in investing, one must be willing to venture like an entrepreneur and focus on the profit growth prospect of a company. 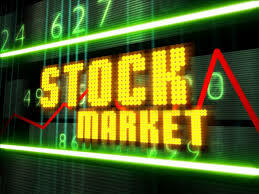 Out of the stocks in Bursa Malaysia, you must only pick the one that has the truly tremendous profit growth potential. Why company with tremendous profit growth potential? Among all the criteria, such as NTA, cash flow, dividend yield etc, the most powerful catalyst to move share price is profit growth prospect. To do so, you need to be able to see the earnings potential of the company and must use some business sense to estimate the earnings of the company a few years down the road. One of the techniques is finding the factor or catalyst that can move the earnings needle. The chance of picking a winning stock would be higher if you could leverage on your knowledge and experience to find a profitable company with near-term and long-term catalysts. For example, I have done business for more than fifty years and involved in many mega construction projects. I know how construction companies make money and can tell if the companies would make more money next year than this year. I know readers do not like to read anything written by egotistic writers. For the sake of additional clarity of this article, I have to boast that I was one of the founders of Mudajaya, IGB, Gamuda and IJM Corporation Bhd. Many conservative business men dare not use Bank loan to do business. To maximise your profit, you must use bank loan. I always borrow money from banks to do business. If I did not borrow money, I would not have expanded my businesses so quickly. I always use margin loan to buy more shares. Of course, I can win more if my bet is right. But I will lose more if my bet is wrong. Margin loan is a double edge sword. It cuts both sides. It is only meant for experience investors.